According to Forbes, the Know Your Value contributors have “jointly dominated at every level of hockey since their youth..."
Twin sisters Jocelyne Lamoureux-Davidson and Monique Lamoureux-Morando – Know Your Value contributors and U.S. Women’s Hockey Olympic gold medalists – have been named to the Forbes’ 30 Under 30: Sports list for 2019. The twins, 29, were pivotal in breaking the U.S. Women’s Hockey Olympic gold drought earlier this year in PyeongChang, South Korea. In the nail-biter February 2018 championship game against Canada, Lamoureux-Morando tied it up with a breakaway goal with about six minutes left in regulation, leading to a shoot-out. Then, after five rounds, Lamoureux-Davidson scored the winning shoot-out goal and the U.S women took hockey gold home to America for the first time in 20 years. As Forbes noted, “the Lamoureux sisters have jointly dominated at every level of hockey since their youth, when they won a North Dakota peewee state title.” The pair also helped lead the U.S. Women’s hockey national team to six world championships and two previous silver medals at the 2014 and 2010 Olympics. 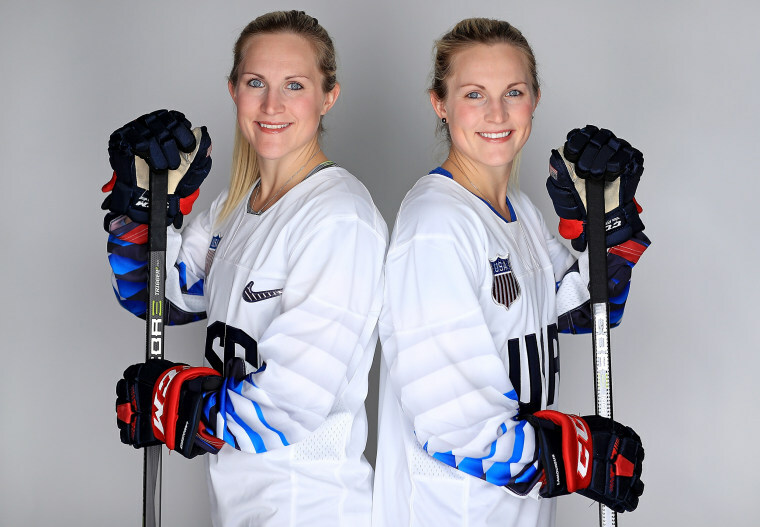 But beyond their leadership on the ice, the Lamoureux twins are outspoken advocates for gender equity in both pay and opportunity, within the sports world and beyond. They’re passionate about using their platform to empower women and girls, and they signed on as Know Your Value contributors this summer. In one notable example, starting in 2014 the women helped lead their national hockey team’s fight for fair and equal treatment by USA Hockey and the International Ice Hockey Federation. Their efforts focused on equal pay compared to the men’s hockey team, more funding for girls’ youth hockey programs, and fairer training and marketing support for women’s hockey. In March 2017 the team reached an agreement with USA Hockey, a major achievement that Forbes discussed in its 30 Under 30 article honoring the twins. "What we strive [for] is to make USA Hockey a better place, to make the U.S. national team and the program better," Lamoureux-Davidson told Know Your Value earlier this year. "But outside of that, [it’s] having a positive impact and using this platform that we're fortunate to have to impact so many more people beyond hockey." The twins volunteer through a series of and community-service programs focused on improving internet access and digital literacy training for low-income Americans, providing education and mentorship for young people, and promoting diversity and inclusion initiatives. They’ve also partnered with Global Citizen, an international group with a mission to build a community of 100 million engaged citizens who will mobilize to help end extreme poverty by 2030. The Lamoureux sisters appeared at the annual Global Citizen Festival in New York in September. Among other issues like sanitation and finance, Global Citizen is particularly focused this year on the plight of women and girls around the globe. The Lamoureux twins see this moment as a particularly ripe opportunity to advance their message of gender equality through Global Citizen, Know Your Value and other platforms.